HOUSTON (31st May, 2016) – With the passing of May, Ardent just celebrated its first birthday. “One year ago, we set off with our business plans, and today we are pleased that the merger has progressed in line with these plans” said Ardent CEO Peter Pietka, “although the market has been weaker than expected,” he added. In May, 2015, Svitzer Salvage, a part of the Maersk Group, and Titan Salvage, under the Crowley Group, merged to form Ardent. Prior to the merger, Svitzer Salvage excelled in emergency preparedness and response, while Titan specialized in large projects. Ardent complimented the strengths of Svitzer Salvage and Titan to develop one of the most robust service offerings in the worldwide salvage industry. Now, Ardent has become a leading services company with an extensive network, offering innovative solutions to the shipping and offshore industries. “The integration of the two companies has gone well, and the merger targets have been achieved,” said Pietka. In its first year, Ardent won and executed more than 50 contracts with a strong safety performance, and no loss-time incidents in its first year. “The current markets in the shipping and offshore sectors have affected our margins.” said Pietka. “Looking from a different perspective, the current oil and gas market provides us with a large opportunity to focus on offshore decommissioning,” said Pietka. “With the amount of knowledge and diversity between our partners and staff, and with a successful integration behind us, we look forward to the exciting years ahead,” he said. 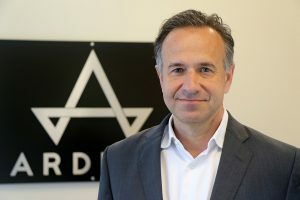 HOUSTON, Texas – Peter Pietka, CEO of Ardent. 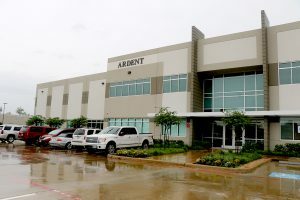 HOUSTON- The Ardent's corporate headquarters in Houston. 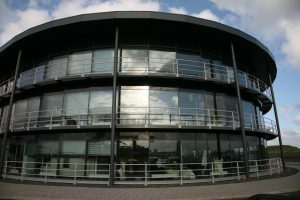 IJMUIDEN, Netherlands- Ardent's operations center in the Netherlands. We are Ardent, a leading services company with a strong network, delivering effective and innovative solutions to the shipping and offshore industries. Ardent operates globally in Emergency Management, Projects (Wreck Removal and Offshore Decommissioning) and Underwater Services based upon a common operational and administrative platform. We strive to protect our client's interest, and the environment through applied ingenuity.